While new catalog products outside of Hammacher Schlemmer’s “The Best” category are also thoroughly inspected by Mohammed Faraj’s testing team at the Hammacher Schlemmer Institute to ensure that they are safe, that instructions are easy to understand, and that the manufacturer’s claims are accurate, “The Best” products, however, utilize a protocol that includes one or more of the following methods: in-house testing, a testing panel, and third-party experts/or testing labs. In fall 2017 Faraj’s team met with the Hammacher Schlemmer merchandising group to discuss items to appear in this year’s summer catalogs. 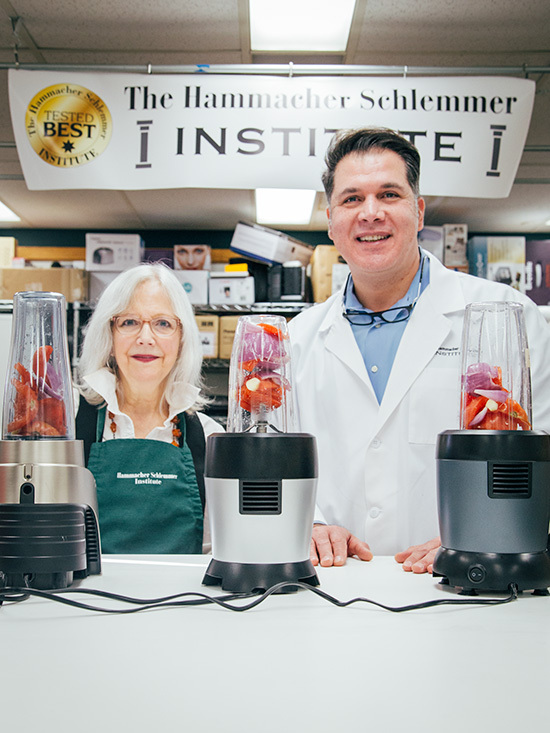 A survey was sent to current Hammacher Schlemmer customers of similar items and the Hammacher Schlemmer Institute reached out to a prescreened panel for volunteers who would be interested in serving on a personal blender testing panel. The survey queried panelists on usage, product attributes, and product features. Based on these responses, Faraj’s team researched a number of personal blenders and obtained sample products that were tested in house for durability, noise level, performance, and operation. Faraj used a heat detector to determine if the personal blender remained at an acceptable temperature, for example. 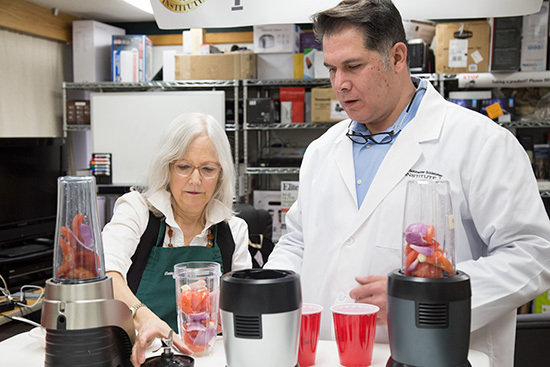 The team then narrowed down the selection to the top five personal blenders based on in-house testing. The product names were removed so that panelists would not be influenced by brand or past experience. Because of ease of item portability and test design, the personal blenders were given to panelists to use at home along with recipes for a smoothie and a salsa, which they were required to prepare. Panelists concluded their participation by completing a post-testing questionnaire evaluating the performance and ease of use of each personal blender. While the testing process takes three to four weeks to complete, the team’s work continues once a product makes it into a catalog.